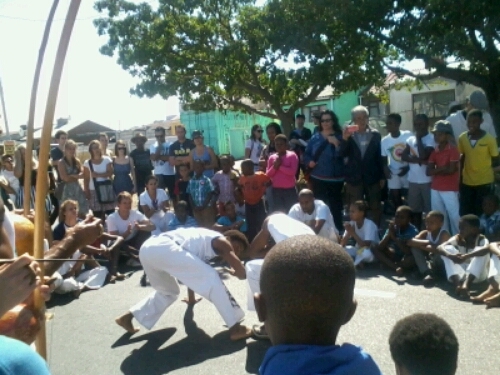 My first time in Langa (yes I am ashamed – blame the media and my ignorance), today the streets of Langa came alive with possibility. 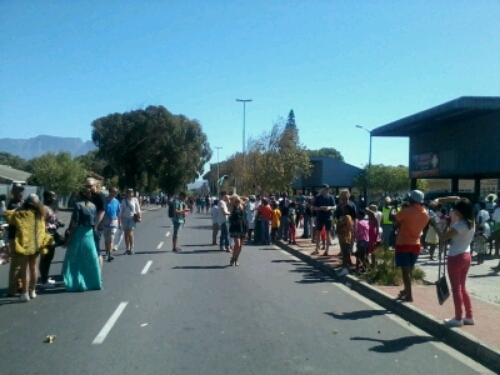 Streets on Bree (Sunday 18 January 2015), we were taken to Langa where skaters, cyclists, walkers, joggers, kids,adults, artists, musicians and others to enjoy car-free space together. 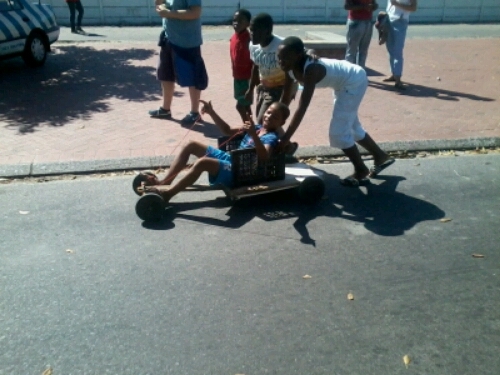 Superheroes on bicycles, skateboarders and when last did you see a “waentjie” in the street yes this is South Africa where kids are free to play in the streets and be children. Laughter, chatter and a festive atmosphere allows for bridging the gap between people from different backgrounds, we even got the opportunity to watch a moving documentary in one of the residents houses about Remebering Marikana. Ever wanted to ask a scientist a question, anything from Why is the sky blue? to Why is the earth a square uh I mean round but I’m sure they would be able to answer that too :-D. It is amazing and moving to see so many children enjoying themselves high-fiving you with smiles on their faces as you walk past, my friend even got to see some real street magic where the kid disappeared after the show hahaha. 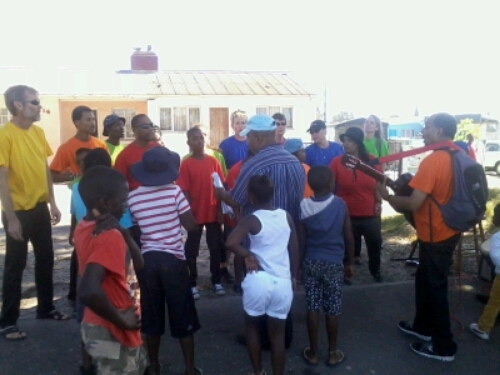 With the cricket World Cup just ended and SA needing to build for 2019 why not get someone from the streets of Langa. 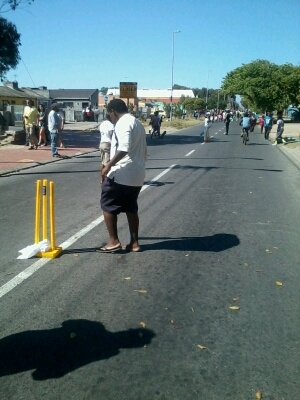 and there is always hope for Bafana too, street soccer is popular in all parts of Cape Town ;-). The Micro Galleries were also cool, meeting an artist who uses sea sand, giving us an in-depth explanation of his amazing work. This entry was posted in Uncategorized on March 29, 2015 by shaunjengel. With a record breaking crowd of over 93 000 people who filled the MCG in Melbourne Australia to witness World Cup Cricket final between neighbours and co-hosts Australia and New Zealand. 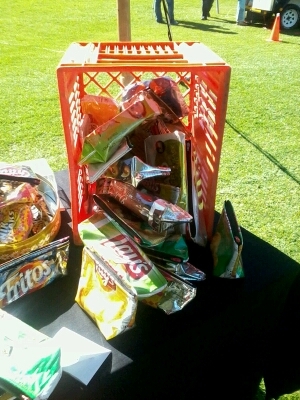 It was a case of Hey Neighbour can I borrow some brown sugar with New Zealand winning the toss and opting to bat first. The Australian bowling was on point as always and a brilliant partnership between Taylor and Elliot could only help New Zealand secure 183 runs as the rest of the batsman faltered under the pressure of the Australian bowling attack. 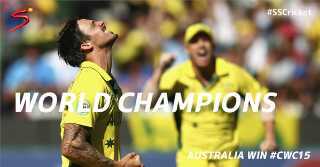 Both Faulkner and Johnson getting 3 wickets a piece 184 in 50 overs was more than attainable for this Australian side. Michael Clarke scored 74 in his final ODI innings & Steve Smith added 56(not out) to guide Australia past the 184 target with 16.5 overs to spare, it felt like vengence as New Zealand beat Australia in the group stages. What a way to get revenge on the grandest stage of them all the World Cup Final. With electricity prices increasing and the petrol price soaring in coming months it is time for us to BE SMART and join the Renewable Energy revolution. God gaves us the sun and wind – best we use them! The important choices we make today will determine the future that emerges for our country. At the renewable energy festival your eyes are opened to the amazing possibilities that the world has to offer, it does not need to be expensive all you need is to look for an opportunity/gap and take it. Like Tsidi Ramofolo who started her company “NewCo” about 3 years ago operating in Landsdowne. If you are eating Lays right now what are you going to do with the packet, throw it away right. 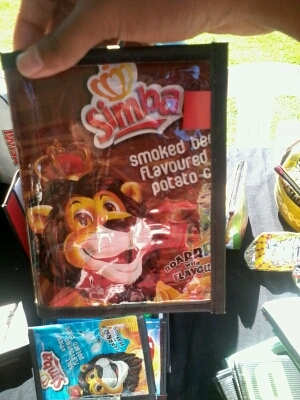 Tsidi takes these packets and other waste material to create these useful items..
Those are pencil bags made out of Lays, Simba or Fritos packets. That is a wallet – now you can have Simba be the King of your money o_O. ramofolon@yahoo.com – mail her for more on this amazibg initiative. With many exhibitions helping to educate and inform people on what is out there in terms of alternative energy I think this is an eye opening and enriching event. Fun-filled for the whole family with Cape Town Science Centre offering a variety of activities for the kids to enjoy – Maths and Science is essential in creating a sustainable future for all why not visit the science centre in Obz to expose yourself to a World of new experiences with more than 280 Interactive Displays. This is an interactive event with foodstalls, many exhibitions and ofcourse LIVE entertainment – The ENERGETIC Gang of Instumentals, Afrotropica – who make music out of recyclable material and the Father Son duo Jesse and Johnny Clegg to name but a few. All well presented by the crazy Siv Ngesi and Katlego Maboe as MC. This entry was posted in Uncategorized on March 28, 2015 by shaunjengel. Think drive through ok now stop thinking and look to the sky you see those stars that is what you will be under while watching one of your favourite classics :-D.
The Galileo open air cinema’s are a relaxed way to enjoy a great summer’s night out, a comfy backrest, (gets abit unformfortable if you watching a 3 hour movie though haha), and blanket to keep the chill away, helps you get lost in the movies on offer. There are 3 unique locations across Cape Town for you to enjoy a variety of movies from Tuesday – Thursday, a great place for a date or just a movie night with friends and family. If it wasn’t for Galileo we would not have had the idea for this ok he’s got nothing to do with this but his name and maybe the stars – It also gives one the opportunity to see how the earth moves as the moon moves from one side to the other. mean, I got everything I need right here with me. I got air in my lungs, a few blank sheets of paper. I mean, I love waking up in the morning not knowing what’s gonna happen or, who I’m gonna meet, where I’m gonna wind up. Just the other night I was sleeping under a bridge and now here I am on the grandest ship in the world having champagne with you fine people. 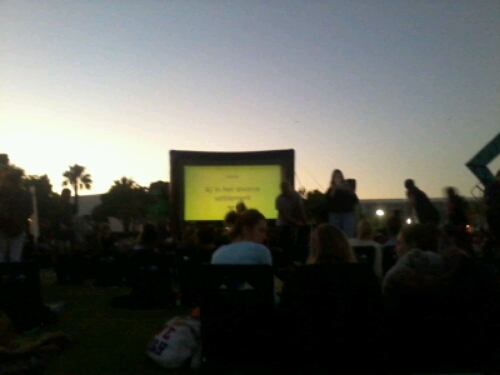 I figure life’s a gift and I don’t intend on wasting it. You don’t know what hand you’re gonna get dealt next. You learn to take life as it comes at you… to make each day count. This entry was posted in Uncategorized on March 26, 2015 by shaunjengel. It was the clash of the Champions both teams former winners of the cricket World Cup, would India have it in them to beat an in-form Austalian side on their home turf? It was the Australians who won the toss and opted to bat first with 6 batsman all getting a strike rate of over 100 they cruised to a comfortable score of 328/7 in their alotted 50 overs. Smith was so comfortable he didn’t even need a helmet o_O…ok that was only against the spinners of India. Finch 81(116), S Smith 105 (93) and a late cameo by Johnson 27(9) not out, giving Australia the upperhand as India came out to bat. India were looking good, but lost their 1st wicket after Dhawan was caught. They were 76/1 after 12.5 overs. Against Australia 329 to win was tough on a normal day the Indian batsman had it in them but this is the World Cup o_O. 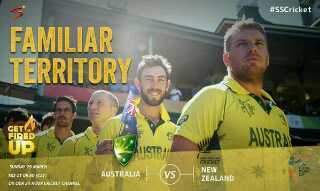 In the 41st over India were 204/5. They needed 125 runs off 54 balls at 13.88 runs per over. This was the fall of wickets for the last few overs. India were reduced to 233 all out after 46.5 overs to set up a clash of old foes in the Final on Sunday. New Zealand beat Australia in the group stages will this be enough for the underdogs to lift the trophy. Should be exciting as the co-hosts look to entertain the crowd. 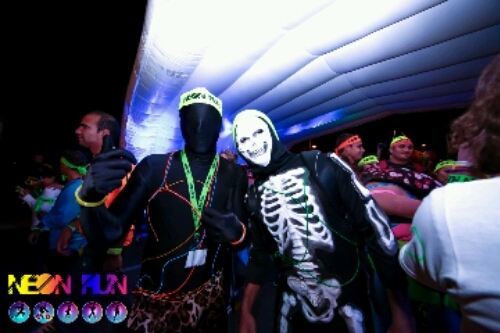 At the end of the 5km it all culminates into one crazy party lazer lights neon colours all lighting up the night sky as we GLOW and shine I bet the Aliens from outer space will be jealous of us having such an amazing party. 18th April Cape Town will light up Kenilworth Racecourse with a stellar line up of SA’s top artists to entertain us, you do not want to miss this. I have no idea how that guy is breathing through that outfit – Wear at your own risk hahaha these are just some of the characters you’ll meet along the way so don’t delay and get your tickets now. This entry was posted in Uncategorized on March 25, 2015 by shaunjengel. 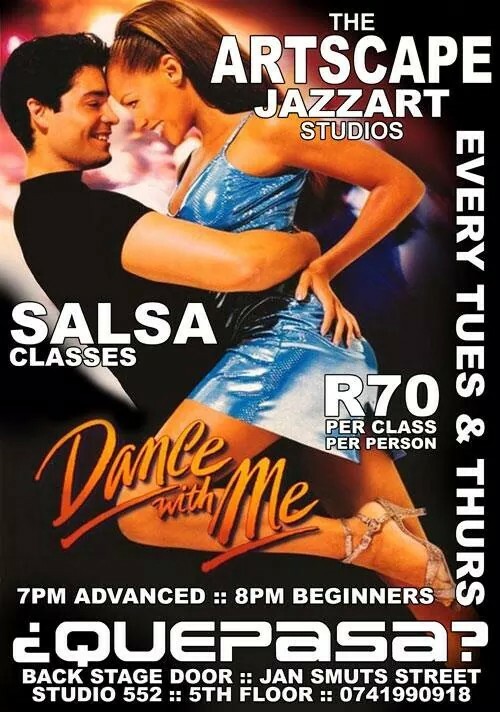 Inspired by movies like Take The Lead and the obvious favourite classic Dirty Dancing after much debate with myself I decided to join a Salsa beginner class to see what it is like. To my surprise I have rhythm haha :-D..1 2 3 – 5 6 7 yeah I know what happened to 4 right, uh I’m not sure once the beats became faster I got lost too o_O. The class is fun and social with a nice warm up getting you in the groove then its on to the basic movements basically Jazz with a lift…yip I need to remember the lift. Men on one side ladies on the other – Ladies time to pick your partner and off we go moving those hips 5 minutes and the ladies move to the next partner like speeding dating adding dance into it. I enjoyed the experience and it is a great boost of confidence when you start getting those movements even got some twists into it hmmmmm who knows Strictly Come Dancing might see me soon ;-). A great way to meet people, lots of laughter but also serious enough to learn something new to use when you want to woo that lady in the red dress on the dancefloor. This entry was posted in Uncategorized on March 24, 2015 by shaunjengel.